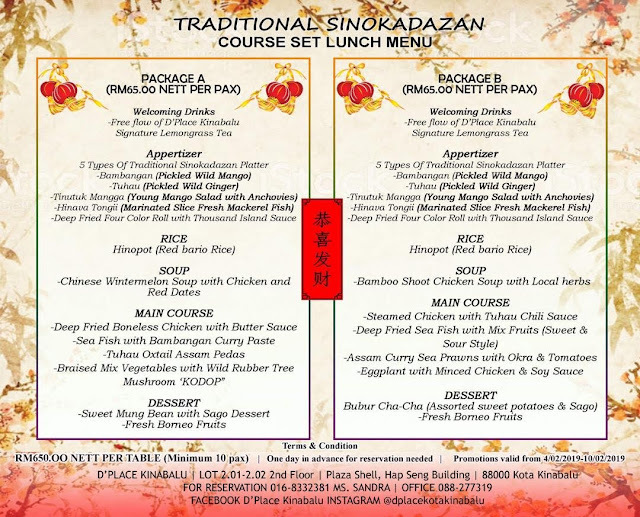 Looking for something different for your Lunar New Year gathering this year? 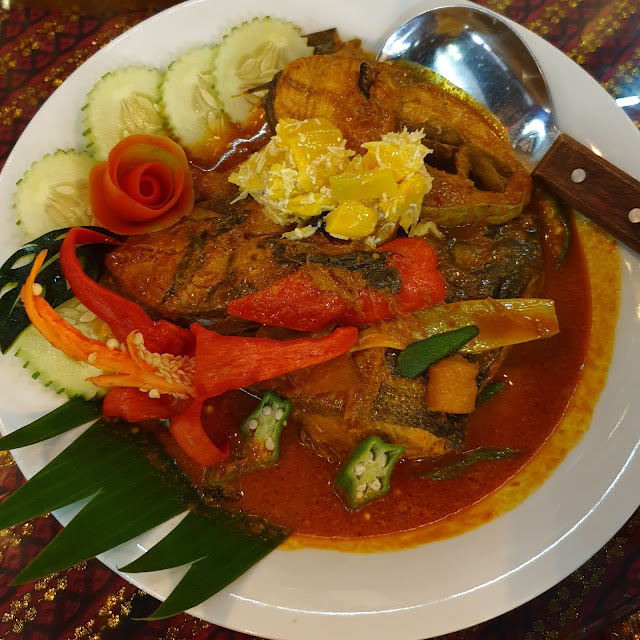 Why not try local family restaurant for a quick lunch with your friends and family right here at one of the most-known place in Kota Kinabalu to dine-in some traditional Kadazandusun cuisine? 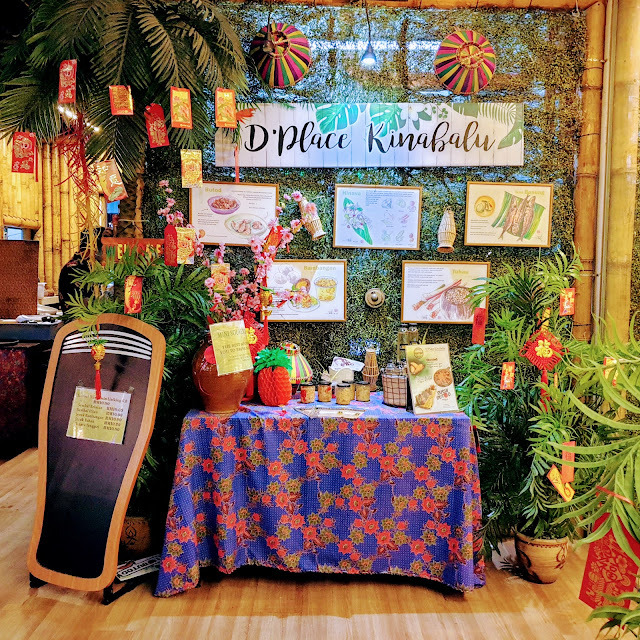 Special for this Chinese New Year 2019, D'Place Kinabalu has prepared 5-course lunch sets for group of people that represent us Sabahan; mixture of race, culture and religion in the hope that can bring people together, enjoying the celebration with local traditional food with a twist of Chinese-style cooking. Let's get into it! First, the ever quintessential dish for Chinese New Year would be the Yee Sang (prosperity toss salad) platter with fresh sliced vegetables, fruits, sauces and instead of fresh-cut fish, hinava; slices of fresh caught fish mixed and marinated with red onion, ginger, chili, bitter gourd, bambangan seed (type of mango) and lime juice. 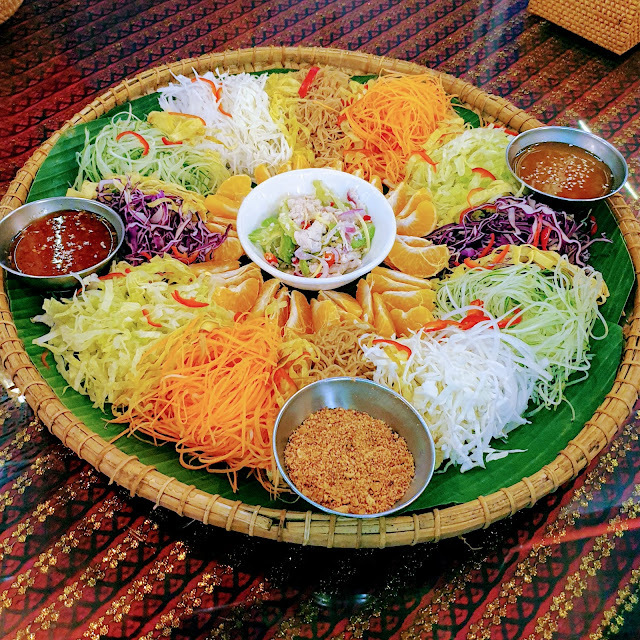 Yee Sang generally tastes sweet, sour, a little bit nutty and depending on your sauces, it can be a little bit spicy so I'd say the hinava actually blends in pretty nicely. Next course, appetiser! For appetiser, it's the above 5 different traditional Sino-Kadazandusun dishes arranged in quintuple star that consists of (clockwise) tuhau (pickled wild ginger), tinutuk mangga (young mango salad with anchovies), hinava tongii (sliced marinated fresh mackerel fish), bambangan (pickled wild mango) and deep fried four-colour roll with Thousand Island sauce. 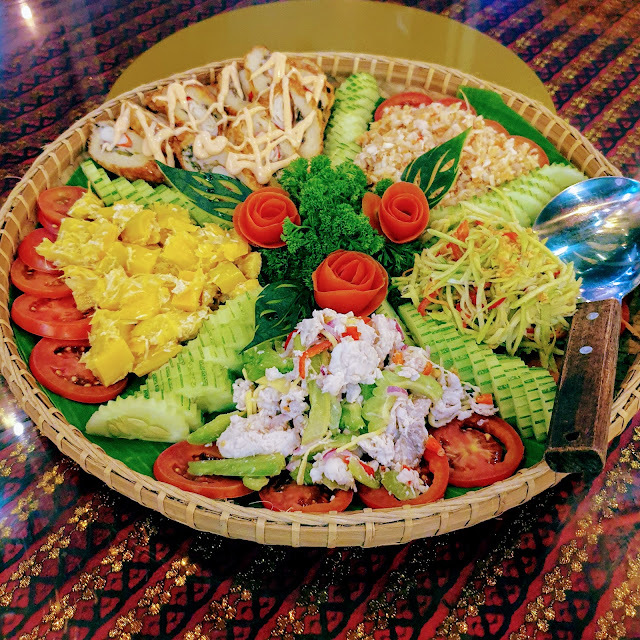 Definitely different from the usual star-platter but it's in the continuity of the yee sang that I had prior to this which is nice. I was all over bambangan at this point! Next, we were served with the Chinese Winter Melon Soup with chicken and red dates. The soup was indeed savoury although a little bit salty to my preference so that's where the hinopot (red bario rice) comes in. 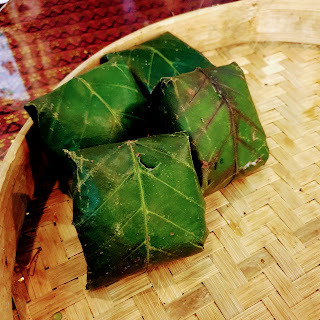 The rice was nicely cooked and wrapped in that wide linopot leaves which provide the nice scent to the rice itself. Now, let's go to the main course! 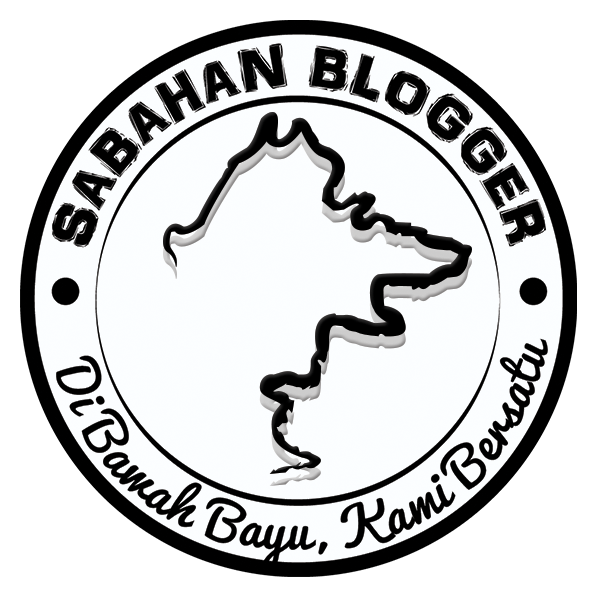 Next would be the above sea fish with bambangan curry paste. 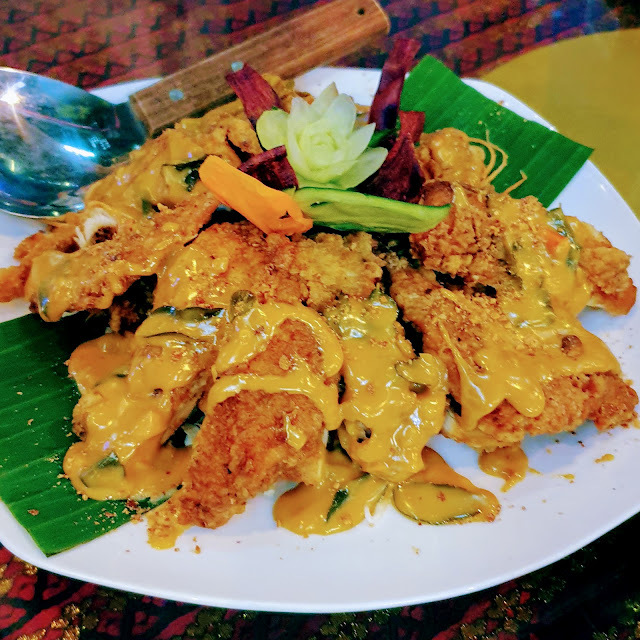 If you know me personally then you'd know that I'm not a curry-eating person; not even Malay-style curry with lots of santan but the bambangan in this curry sort of tones down the curry spices a little bit and adds in the zest of bambangan which is surprisingly delicious! 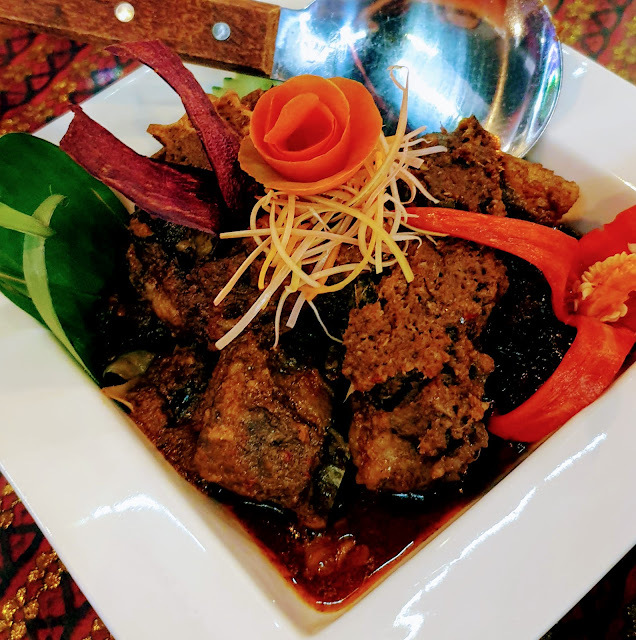 Next is the above Tuhau Oxtail Assam Pedas; the meat is chewy a little bit but it was delicious still although I kind of wish it's a little bit spicier and tone down the Tuhau scent a little bit but that's me and it seems that this dish is quite enjoyable still. 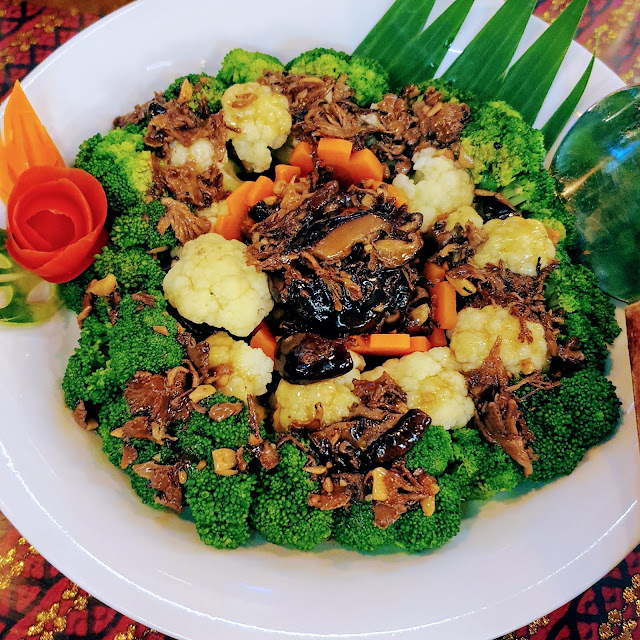 I, for one usually order steamed mix vegetables cooked with oyster sauce and it's always the same formula; broccoli, cauliflower, carrot and mushroom; all kinds of mushroom but it was the first time I had kodop (Wild Rubber Tree Mushroom) in the above braised mix vegetable dish and I actually liked it! Now, onto the desserts! 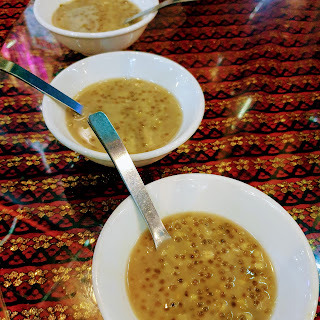 Few minutes after we're all done with the main course, we were served with sweet mung bean with sago dessert. 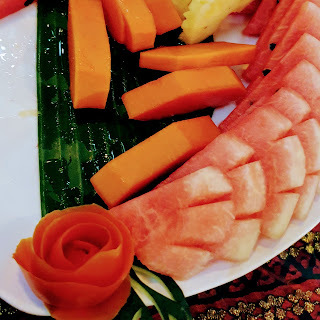 The taste was a bit bland with less sweet and coconut milk but I guess it's better that way as we had some local fruits like watermelon, papaya and pineapple right after that. Those fruits were fresh and tasty! 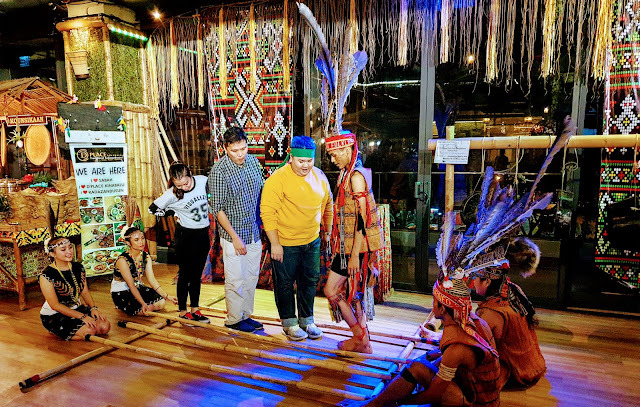 Dino (Breeze Magazine) and Carl's Evert (GingKaras) with another customer took part in the Magunatip dance (Bamboo dance). 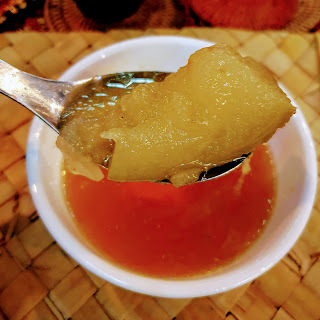 Last but not least, this Manisan Ambuyat (sweet sago) that has taken most of us by huge surprise especially us Bajau and Bruneian! For over 20 years since I've eaten ambuyat the first time in my childhood years, I've always eaten it with dip made from basung fish boiled with turmeric, tamarind, red onions and salt with grilled eggplants on the side hence a savoury dip but never had I ever thought eating it with anything sweet! 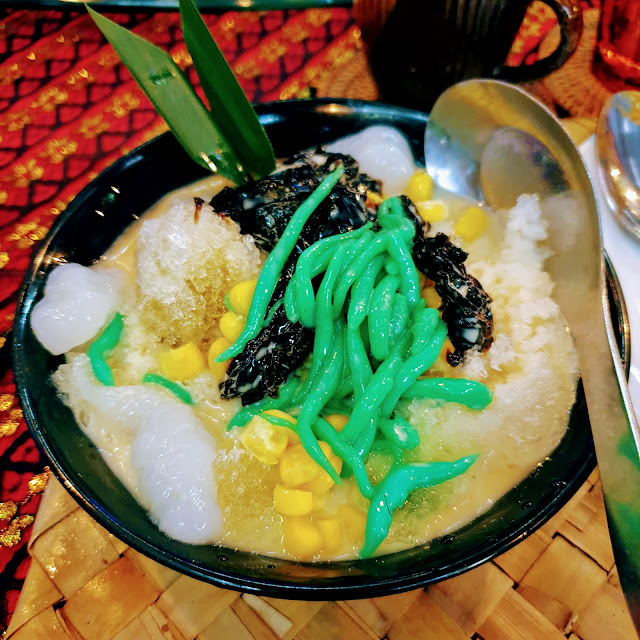 It was a regular shaved ice with fillings like grass jelly, cendol, steamed corn, evaporated creamer but added with ambuyat and caramelised brown sugar which I needed to stir a little bit longer to actually savour the taste altogether but it's okay as we were having long conversation at the end of our session that night. That's all of it! 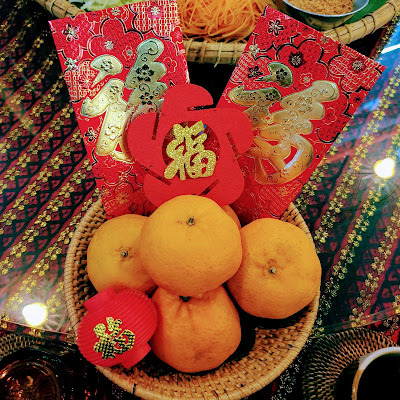 I hope you guys find this post helpful in planning your Lunar New Year celebrations and do let me know your thoughts by leaving comments down below and I'll see you guys on my next post! 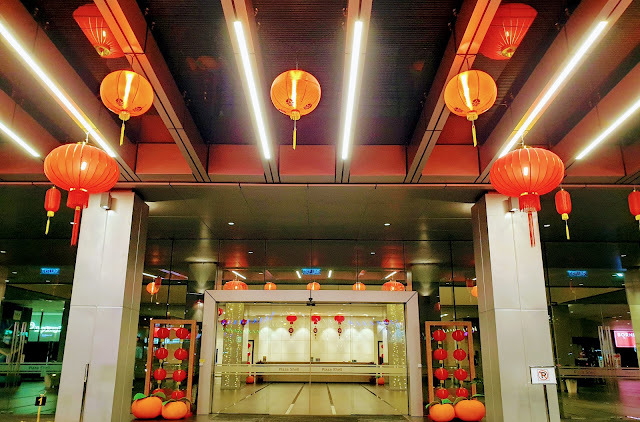 Plaza Shell entrance in Lunar New Year mode. Location | Lot 2.01 - 2.02, 2nd Floor, Plaza Shell, Hap Seng Building, 88000 Kota Kinabalu, Sabah. 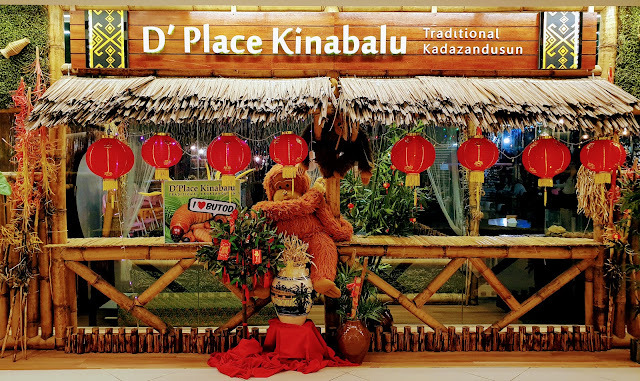 4 comments on "Lunar New Year-themed Traditional Sino-Kadazandusun 5-Course Lunch Sets at D'Place Kinabalu"
ambuyat tu tak pernah makan lagi. 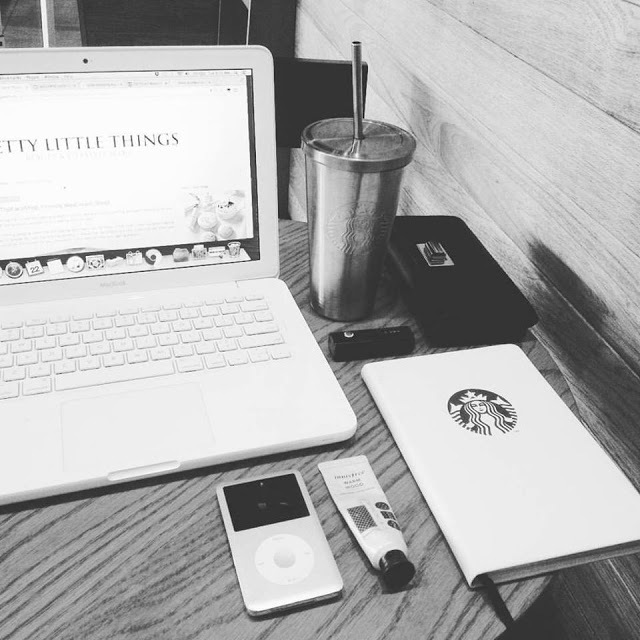 look very nice.